This mixture of nectar and pollen rich blooms loved by bees have been chosen by the RSPB to create a flower carpet for them that is quick and easy to grow. As well as looking stunning in your garden, they will also create a valuable habitat and resource. Plant Class: Half Hardy Annual (HHA), Hardy Annual (HA), Hardy Perennial (HP). Includes 20g of seeds, which provides coverage of up to 10-20 square metres. Mr Fothergill’s have pledged to donate 10% of sales to RSPB. 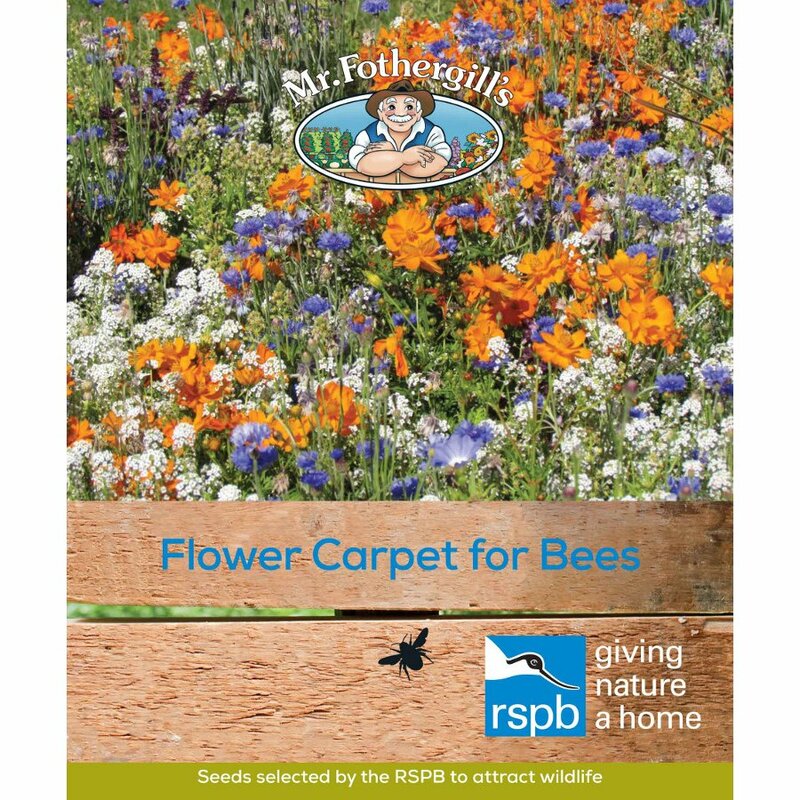 The Mr Fothergill's RSPB Seed Mix - Flower Carpet for Bees product ethics are indicated below. To learn more about these product ethics and to see related products, follow the links below. Seems OK but is this certified organic or vegan as it has no label on box? 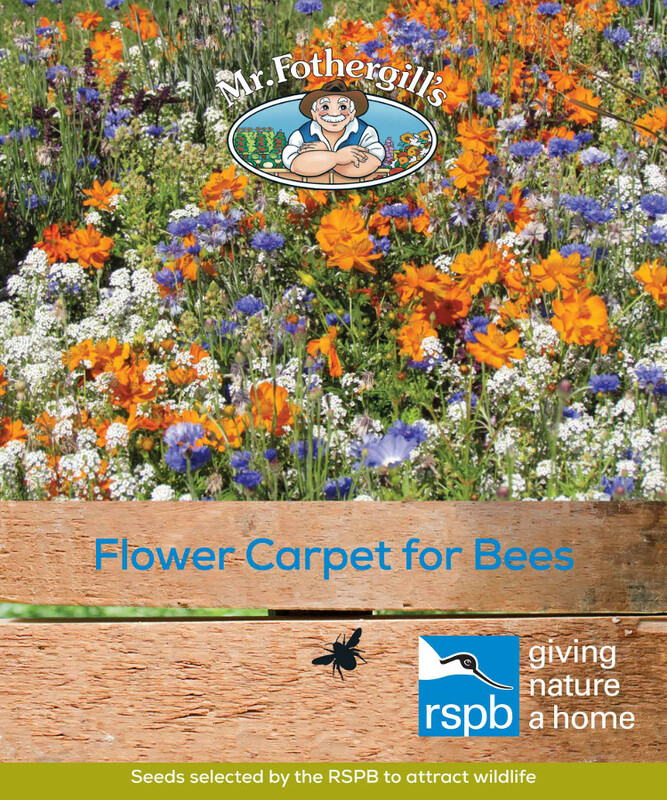 There are currently no questions to display about Mr Fothergill's RSPB Seed Mix - Flower Carpet for Bees. From Newmarket in 1978, Mr Fothergill's began selling seed to garden shops - today, they are one of the biggest and most respected in the UK market. They are passionate about encouraging people to enjoy gardening, and have a range of wildlife-friendly seeds and biodegradable growboxes.